The Senate passed two constitutional amendments on a party-line vote that seek to limit the Executive Branch authority. First, SJ 223 (Sen. Norment) undoes all the progress made under Governor McAuliffe in restoring the rights of felons who have completed their sentences and post-sentence supervision in the name of creating a permanent process in the Constitution of Virginia. I outlined in detail my opposition to this amendment in my Richmond Free Press column last week, which you can read here. I also spoke against the amendment on the Senate floor, and you can watch my remarks here. The Senate also passed SJ 295 (Sen. Vogel) allowing the General Assembly to block any administrative rule before it takes effect. Currently, the legislature can overturn regulations that are unreasonable or direct agencies to change regulations by passing laws. But, SJ 295 would create further regulatory delay by substituting the judgment of the legislature for that of experts appointed to regulatory agencies at the front end of the process. This has the potential to further politicize policy decisions best left to the experts, and violate separation of powers by usurping executive and independent agency actions. The Senate also passed SB 1578 (Sen. Norment) relating to short term rentals, such as Airbnb. A lot of constituents expressed concern that this bill would ban short term rentals, but it does not. Instead, it allows local governments to adopt an ordinance requiring the registration of persons offering property for short-term rental (less than 30 consecutive days) unless they were already licensed to rent or manage property by the Board of Health, the Real Estate Board, or a locality. The bill also authorizes localities to impose fees and penalties on persons who violate the registry ordinance or who offer short-term rentals that have multiple violations of state, federal laws, or ordinances. The bill treats short term rentals as a bed and breakfast establishment for purposes of ABC licensing. This bill was a compromise between Airbnb, local governments, realtors, and the hospitality industry. A number of constituents also expressed their opposition to SB 1373 (Sen. Norment) regarding prior written notice for licensing group homes. Due to concerns that this bill violated federal fair housing laws, Senator Norment asked that the bill be recommitted to the Local Government committee, effectively killing it for the year. Last week the House and Senate adopted amendments to the 2016-2018 budget to address a projected $279.3 million revenue shortfall. You can find the adopted Senate amendments here and an overview of them here. You can find the adopted House amendments here. Differences between the House and Senate budgets will be resolved in a conference committee in the final week and half of session. The Senate budget reflects its top priorities of supporting mental health programs, avoiding spending cuts for public education and safety net programs, and providing an overdue pay raise for all state employees and teachers. Specifically, the Senate budget proposes a 3 percent raise for state classified employees, a 2 percent raise for college and university faculty, the state share of a 2 percent raise for public school teachers, and a 2 percent raise for state-supported local employees. The Senate budget also includes significant funding to address the immediate crisis facing our mental health system, and put it on a path to serve Virginians better in the long-term. 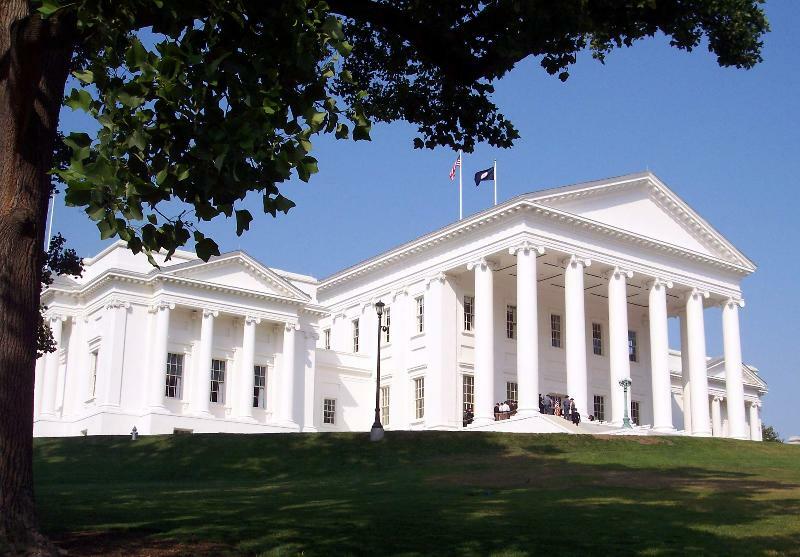 The Governor's introduced budget included $8.2 million for "same day access" to screening and assessment services at Community Services Boards, which will allow Virginia to take the first step towards a comprehensive, statewide system of community treatment. The Governor also proposed investing $7.4 million to increase capacity at state facilities stressed as a result of changes to our temporary detention order laws. To ensure the safety of staff and those being served at these facilities, the Governor included $2.1 million for necessary medication and to hire an additional 24 full-time security and direct care employees. The Governor also invested an additional $4.2 million to address the long-standing need to strengthen mental health services in local and regional jails. Unfortunately, the Senate amendments cut the funding for mental health screenings and assessments in regional and local jails. However, the Senate budget adds an additional $5.0 million in funding for permanent supportive housing, which is often overlooked when addressing mental health needs. The Senate budget also adds an additional $2.5 million to improve the salaries of high-turnover positions within our system of state mental health facilities. Senate McClellan presents her first bill on the Senate Floor. Last week, three of my bills passed the Senate and now await action by House committees. My first bill to pass the Senate was SB 1493, which establishes capacity for Virginia to train K-12 teachers to teach computer science through a public-private partnership between Northern Virginia Community College and a non-profit. This bill passed 39-1. As is the tradition, I got a little hazing from my colleagues on the Senate floor when my first bill passed, which you can watch here. The Senate also passed SB 1475 requiring that family life education curriculum guidelines include age-appropriate instruction that increases student awareness of the fact that consent is required for sexual activity. The bill passed 37-2. Watch me present this bill on the Senate floor here. Finally, the Senate passed unanimously SB 1494 establishing a legal framework to allow companies such as UZURV to pre-arrange rides with transportation network companies (like Uber and Lyft), or to request specific drivers whom they designate as their favorites. Without this legislation, companies such as UZURV cannot operate in Virginia. Watch me present the bill on the Senate floor here. You can track the progress of my legislation through the House here.